Dr. Carroll was born in Porterville, California. He holds Bachelor and Master degrees in music from San Francisco State University, and a Masters in Educational Administration from Saint Mary’s College. His Doctor of Musical Arts degree is from The University of Michigan. He attended the U. S. Naval School of Music and played clarinet, saxophone and oboe in the Third U. S. Army Band in Atlanta Georgia and the 4th Armored Division Band in Germany. He studied conducting with Denis deCoteau, Emeritus Conductor of the San Francisco Ballet. Dr. Carroll has taught at all levels from elementary through university and for a period of time was the Visual and Performing Arts Program Administrator for the Mt. Diablo Unified School District. He served eight years on the State Board of the California Music Educators Association as their Legislative Representative. He has conducted musical theater with the Piedmont Light Opera Theater and concerts with the Oakland Municipal Band. He has been honored with the Diablo Symphony Association’s Distinguished Music Educator’s Award and has received the prestigious Arts Recognition Award of the Arts & Culture Commission of Contra Costa County. In April, 2008, Dr. Carroll was a guest conductor with the Wind Band of the University of Szeged with concerts in Szeged and Budapest, Hungary. The Budapest concert was recorded with a live audience for future broadcast on Hungarian National Radio. He was also a guest conductor in southern Germany with the Stadtkapelle Markdorf. 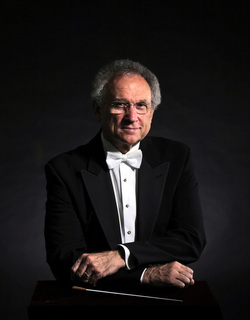 Dr. Carroll has been the Music Director and Conductor of the Contra Costa Wind Symphony since 1981. He retired at the end of the 2014-2015 season.